During the nineteenth century the European aristocracy is swept by the craze for roses. They are willing to do anything to own the most beautiful display in polite society, so research expeditions are organized to source out undiscovered varieties, while gardeners experiment with new crossbreeds. 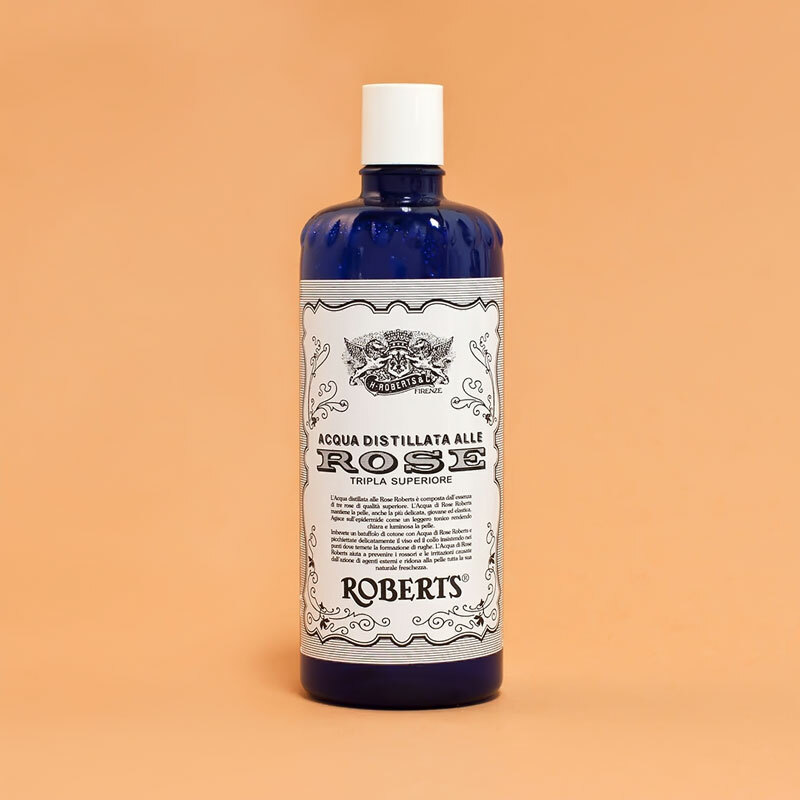 In the midst of this flowered frenzy Henry Roberts, pharmacist, launches his Distilled Rose Water on the market. The place is Florence, 1867. Sir Roberts is managing the Pharmacy of the British Legation, where he’s used to serving all of the British and Italian upper-class ladies. His three-rose distillate (Centifolia, Damask, and Dog Rose) simultaneously taps into the collective obsession and reveals to the public a less-known side of the flower: its healing powers. Rose water is ideal to treat skin, because it soothes, refreshes and cleanses, leaving it toned and moisturized. After partnering up with Florentine pharmacist Lorenzo Manetti, Manetti & Roberts is established in 1921. Today this Italian-British company is under the Bolton Group, an Italian holding which, besides still producing the original recipe, has launched an entire line inspired by Rose Water.